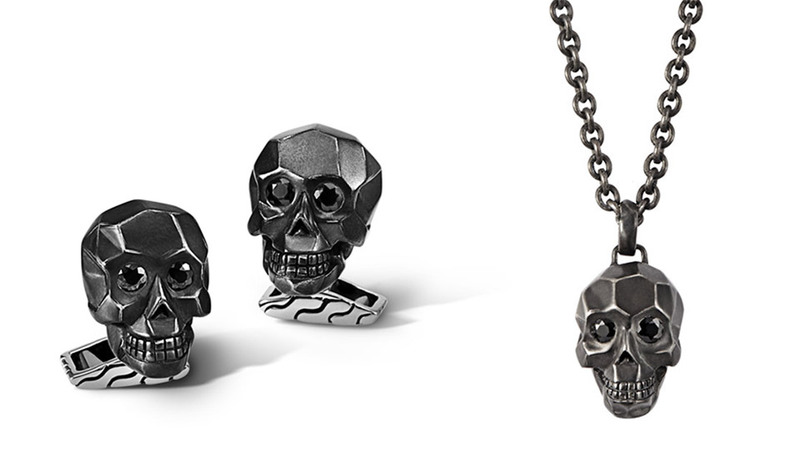 Cast in sterling silver with a matte black oxidized finish, the skull cufflinks and pendant feature black sapphire eyes. 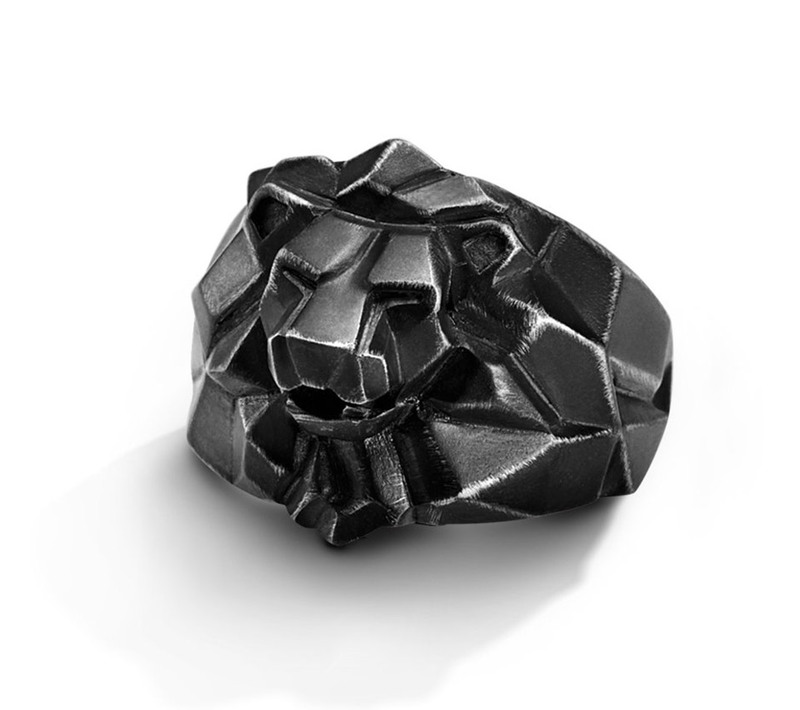 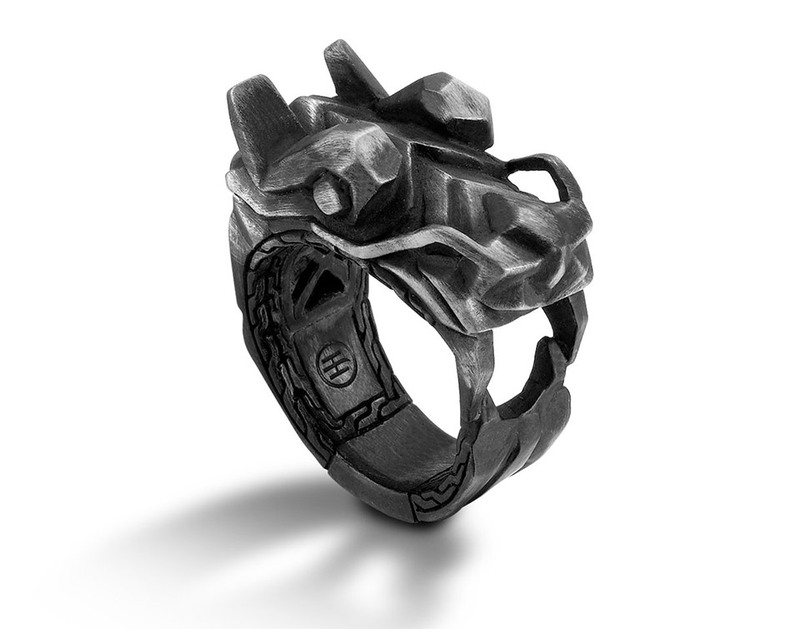 We also love the dragon and the lion head rings. 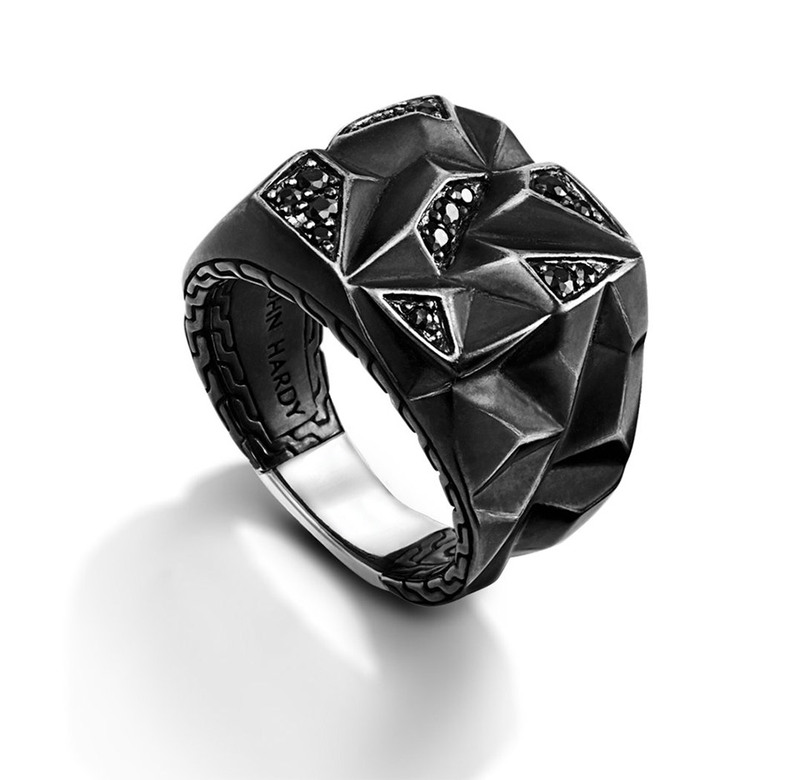 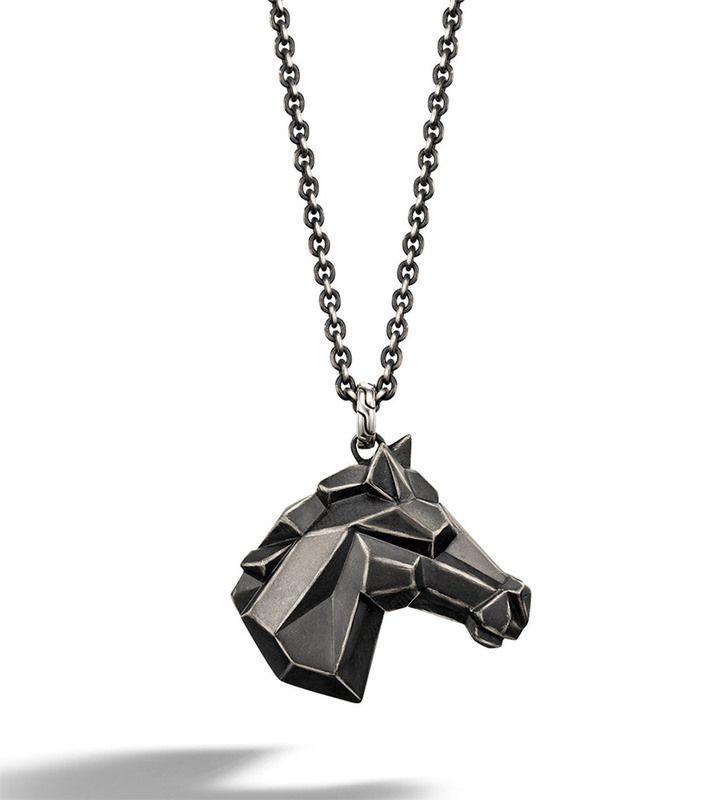 The abstract square ring is stunning, and don’t miss the horse head pendant.